What Goes Well With Kimchi? 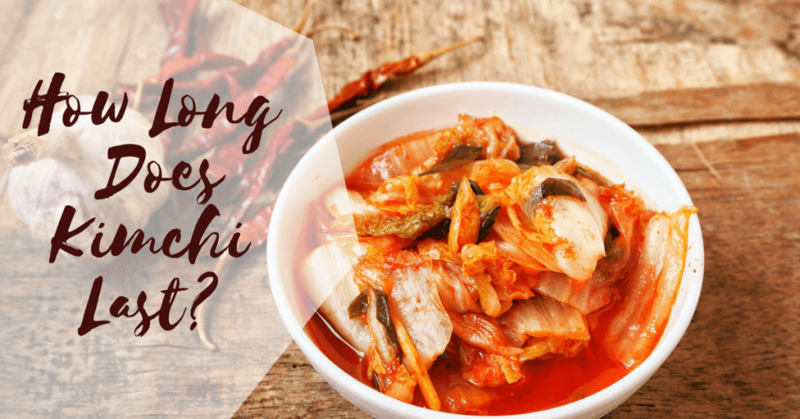 First, let’s find out the reason why many love to eat kimchi. Is Kimchi has that taste that people adore? Well, this might depend on what kinds of foods you are used to. 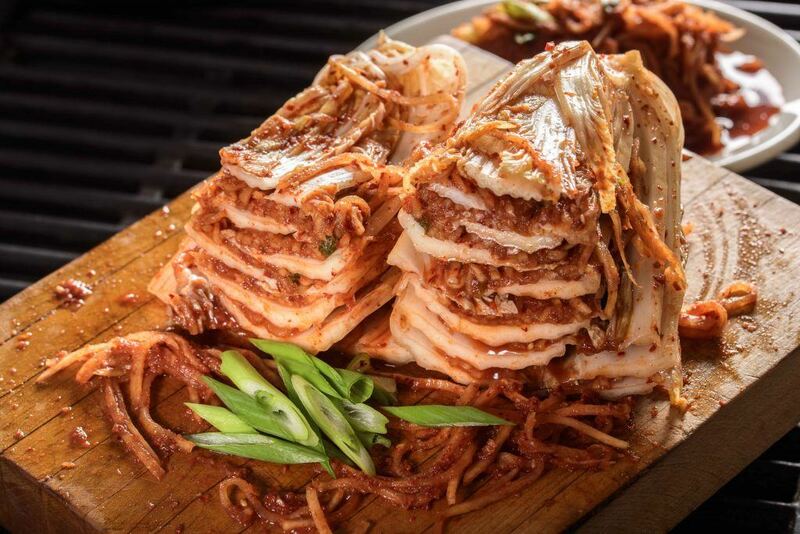 For those who love Asian delicacies, you will indeed fall in love with Kimchi. Along with that, you will also love kimchi if you are fond of eating spicy food making it as a perfect side dish for almost anything. White kimchi might be the right version to consider if you like the taste of kimchi except for the spicy flavor it offers. This kind of kimchi is made with the same ingredients as the regular one only that chili flakes aren’t included. Kimchi has many variations and with that, you can find the best version that will suit your taste buds. Kimchi’s shelf life has been a debate for different people due to their different opinions. But, one of the best ways to know is to look at the “best before date” on the jar of a Kimchi. 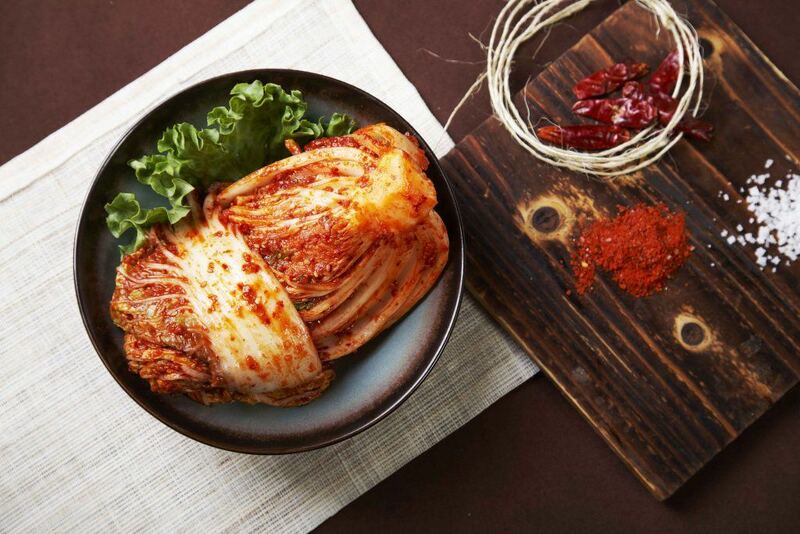 The commercial kimchi could have preservatives which help to lengthen its shelf life. And this kimchi could be kept for numbers of months to almost years. But, homemade kimchi could last for only several weeks or months. It would continue to ferment even after numbers of months and so will change the taste over time. If you don’t want the taste of the over-fermented kimchi, you could discard it after three months. However, other might still enjoy the Kimchi as it ages. Besides, it is also crucial that you remember that Kimchi would last longer in the fridge. And this is the reason why most Korean would utilize specialized freezer for Kimchi. Low temperature would slow down the process of fermentation. And this allows the kimchi to retain the texture and flavor a lot longer. If you keep the kimchi at room temperature, on the other hand, would quicken the process of fermentation. This would give the tendency of rapid ripening the over-fermentation. But, if you notice some smelly fizz or growing molds, then kimchi isn’t safe for consumption at all. It is the right time to discard the old Kimchi and make a new one. First, you have to slice the carrots, scallions, cabbage, and Daikon. Then massage salt to the cabbage leaves. Allow the leaves to stand for about 2 to 3 hours up until the leaves are wilted and softened. Next, you need to rinse and drain the salted cabbage and toss it with chopped carrots and scallions. Mix the paste and toss it until the leaves are well-coated. After that, transfer the kimchi to airtight jars but make sure that the vegetables are completely submerged in brine. And seal it tightly with lid. And finally, let the kimchi ferment at a room temp for about a day or five. You have to check the kimchi for ripeness daily. It is ripe once it begins to taste good to your palate. On the other hand, if kimchi is unripe, it offers disgusting smell and it becomes unappealing to eat. But don’t lose hope! 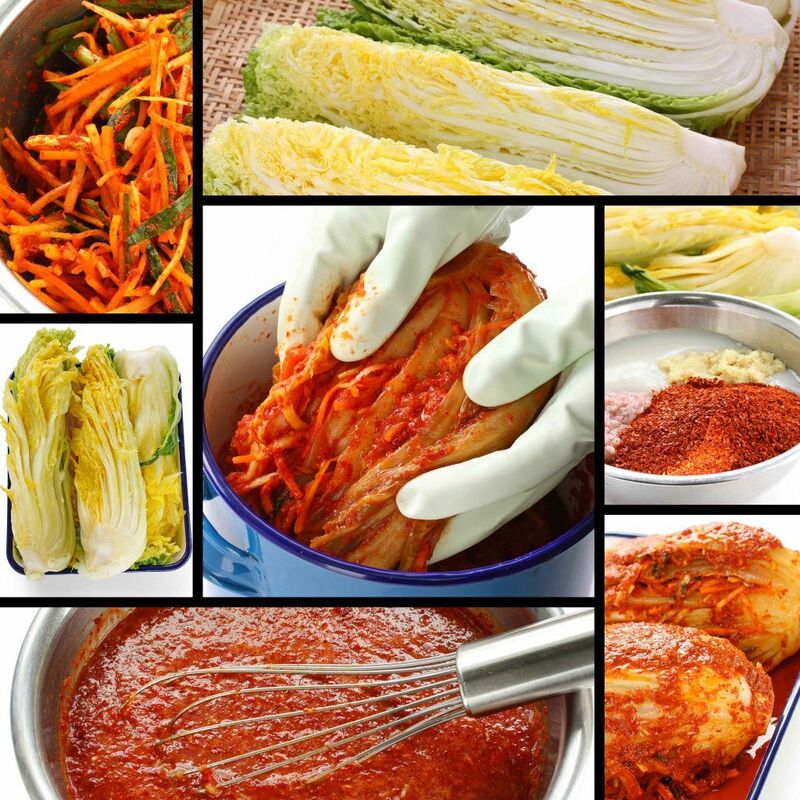 Simply transfer the kimchi to fridge wherein it would continue to ferment and ripen for about two to three weeks. And the kimchi might taste a lot better now. Aside from knowing the answer to how long does kimchi last, you will also know how to make one. Fermentation is the reason why Kimchi could last longer than other kinds of foods. Once you pack the kimchi into jars and allow it to sit in its brine, fermentation would begin to happen. Kimchi ferments during the first two days in the jar and at a room temp. Right at this juncture, the good bacteria or known as Lactobacillus will break down the structure of the veggies. And this good bacteria also fight the harmful bacteria. 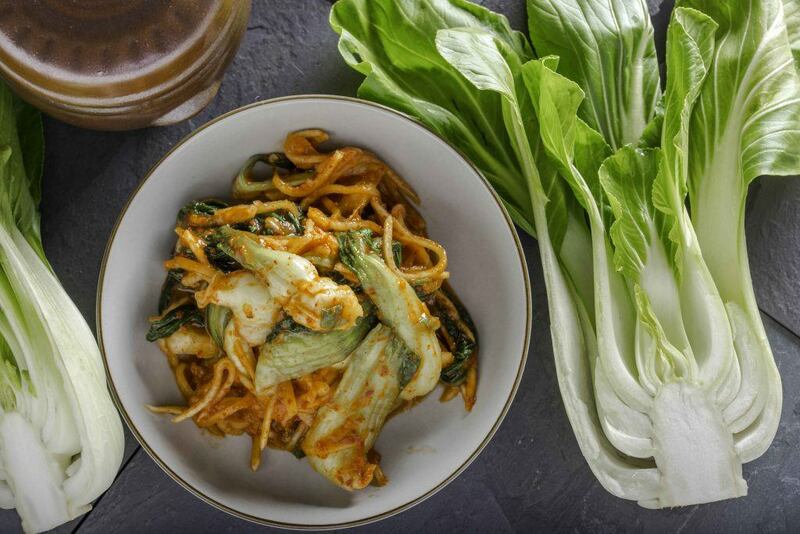 Kimchi is an excellent source of natural probiotics which improve digestive health. And now, Kimchi will release acids and gases which would make it taste sour and smell pungent. But, the odor and flavor of Kimchi would begin to mellow down after few days. If you transfer it to the fridge, it would continue to ferment but at a slower pace. Indeed, kimchi is kept at temperatures between 2 to 7 degrees Celsius for you to enjoy the dish longer. Now, let us also learn the right way of storing kimchi. For those with huge yard, the traditional way of storing kimchi might be considered. Traditionally, Koreans store kimchi in the clay jars then bury it to the ground once winter. Indeed, the heat of the soil, as well as the saltiness of kimchi, will prevent it from getting frozen. However, if you only make a few pounds of kimchi, then this method isn’t practical. Also, you could also use a smaller jar or any airtight container. A class jar might be used too. After one to two days of fermenting the kimchi at room temperature, it would be ripe and would begin to smell sour. You might put them in the fridge to stop the process of fermentation. Once you leave it too long at a room temp, they might ferment a lot faster and you might end up with a too sour taste of kimchi. You shouldn’t fill the containers to the brim. As the kimchi ferments, the bubbles will form and pressure will build up inside the container. Once you don’t leave a space, the airtight glass jar could break. For those that are utilizing airtight plastic containers, you might observe the juice seeping on the surface. And that’s the reason why you need to give the kimchi some space for it to breathe. Again, how long does kimchi last? It all depends on how you store it. It is rich in minerals and vitamins. 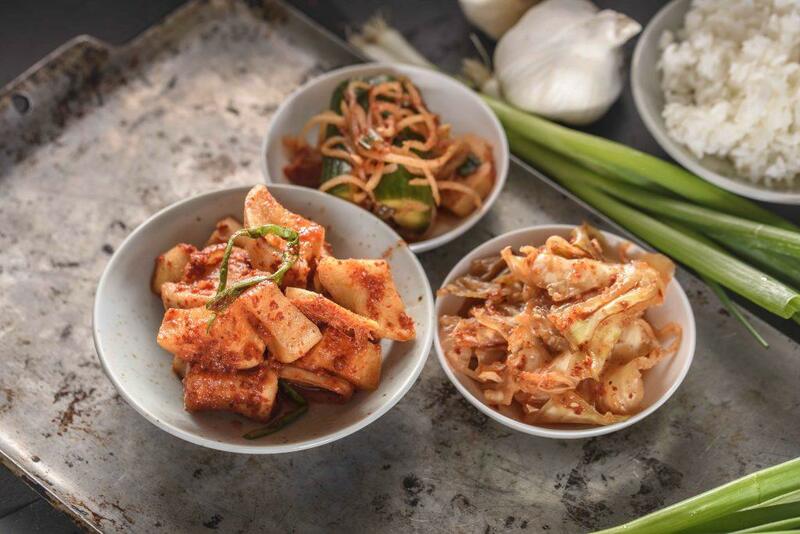 Kimchi is definitely a good source of Vitamin C and B vitamins, a good source of Vitamin K, folate and Vitamin A. It could also give you a good amount of manganese and iron. And this could help in combating anemia. This is the reason why Koreans have a pinkish glow. Kimchi is a good source of antioxidants. Antioxidants could help us get rid of free radicals so Kimchi is a great addition to one’s meal. There is low-calorie content. Did you know that Korea is one of the countries having the lowest obesity rate? And one of the reasons why is that their staple food is low in calorie and also packed with minerals and vitamins. These are just some of the health benefits out of consuming kimchi. Knowing that kimchi is definitely a principal food in Korea, it is being served with every meal. Indeed, kimchi could go well with almost anything. 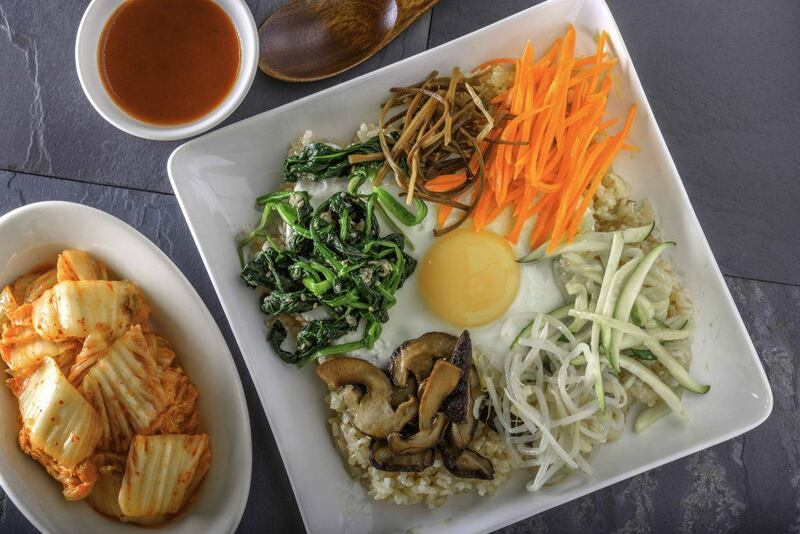 Kimchi goes well with barbecues, soups, and pancake and omelet recipes. It’s a great addition to spice up your breakfast. In fact, kimchi is also a good taco as well as Quesada filling. You might have it along with your fries and burgers. And of course, it also goes well with your hot dog sandwich. Indeed, you can have kimchi along with every meal you want. Knowing that kimchi is a delightful dish to eat with almost anything, you might want to make your own or buy in the nearest grocery stores. Aside from its taste, it also offers numbers of health benefits. Buying or making kimchi in large batches isn’t a problem at all if you know how to store them the right way. But, how long does kimchi last? It would last depending on the way you store them. 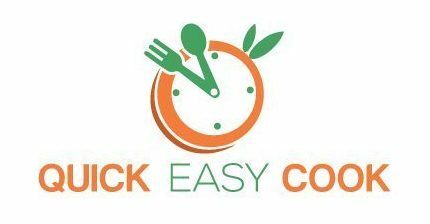 Watch this for an easy kimchi recipe. Did you find the post helpful? If yes, feel free to share this article with your family and friends. Or, leave your comments below. Happy reading!